50 Cent's career has been amazing to date; filled with platinum-selling albums, movies, gun shots and more. 1. What is 50 Cent's net worth? 2. What movies has 50 Cent starred in? 3. How old is 50 Cent? 4. How many kids does 50 Cent have? 5. What is 50 Cent's real name? His real name is actually Curtis James Jackson III. However he chooses to go by the stage name 50 Cent. 6. How much did 50 Cent sell Vitamin Water for? 7. Which character does 50 Cent play in Power? 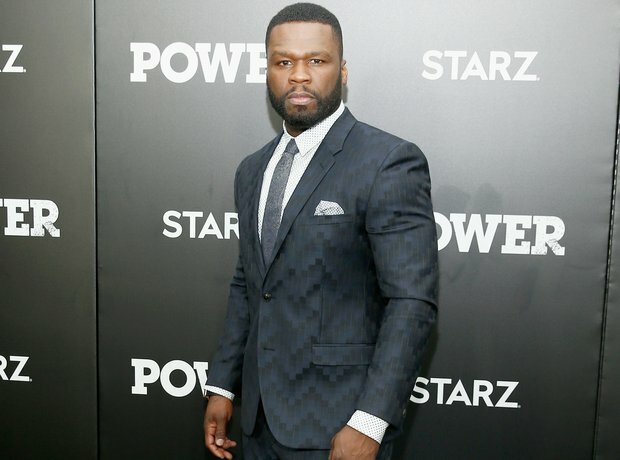 50 Cent plays lead character Kanan in his hit TV show Power, which appears on TV network Starz. The rapper is also the executive producer of the show. 8. How tall is 50 Cent? 50 Cent stands at 1.83m or 6 feet tall. The rapper/actor is slightly taller than the average height for a male celebrity in Hollywood. 9. Is 50 Cent married? 10. Did 50 Cent get shot in the face? 11. How much weight did 50 Cent lose for his film 'Things Fall Apart'? 50 Cent takes acting incredibly seriously and reportedly lost over 4 stone (54lbs) for the role of a cancer patient in movie 'Things Fall Apart', which was released back in February 2012. He lost the weight nine weeks after liquid dieting and running on a treadmill three hours a day. 12. How old was 50 Cent when his mother died? 50 Cent was just 8 years-old when his mother died! Sabrina Jackson had him when she was just 15-years-old but was brutally murdered. Speaking about the death of his mother, he said: "Someone put something in her drink and turned the gas on. After that, every time something went wrong I'd think, 'If my mother was here it wouldn't be like that.'" 13. Does 50 Cent have a son? 50 Cent currently has two sons: Marquise Jackson and Sire Jackson. His eldest son Marquise, is from his relationship with Shaniqua Tompkins, while Sire Jackson is from his relationship with Daphne Joy. 14. Does 50 Cent have his own game? 50 Cent actually has two different third-person shooter video games based on himself. His first game '50 Cent: Bulletproof' was released in 2005 and was available on PlayStation 2, Xbox and Xbox 360 consoles. While the sequel, which was released in 2009, appeared on PlayStation 3 and Xbox 360.